For help with finding your API Key see the "How do I find my API Credentials" section at the bottom of this article. 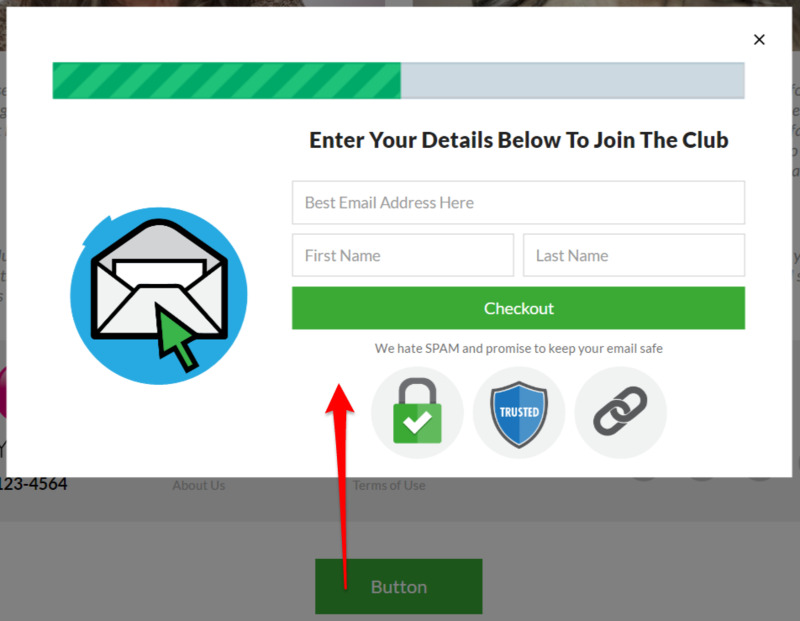 Note: If a site visitor navigates to page via a link that contains your store's sub-domain and submits the opt-in form, this visitor will not transmit to your CRM, because there are no redirects happening between your sub-domain and primary domain. What we suggest is to go to Online Store > Domains of your Shopify admin and click the "Redirect all traffic to primary domain" option there to ensure that your primary domain is used at all times. Click the switcher next to the desired CRM system to the "ON" position and then enter your API credentials into the appropriate fields. If you want to switch to a different account for the same CRM system, then you need to click on the "Use Another Account" button and repeat the procedure described above. Note: The only currently supported CRM system which uses a different connection method is AWeber. A new window will appear where you need to provide your Login Name and Password and then click the "Allow Access" button. 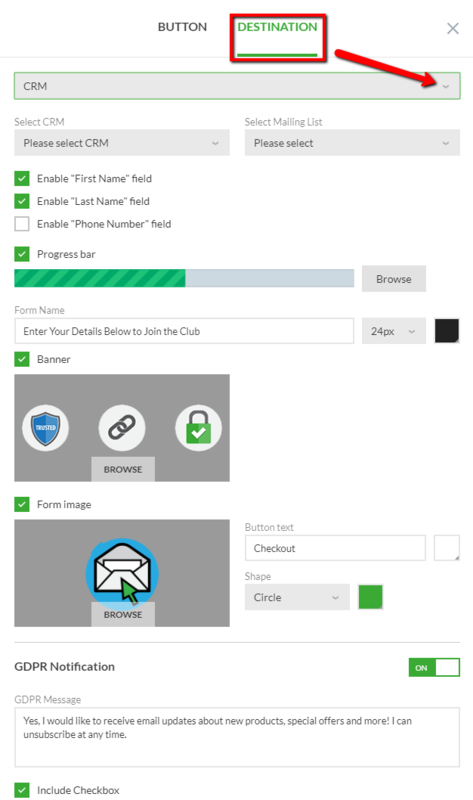 When a CRM system is connected to the Zipify Pages app, you can connect your specified CRM's List (Tag if using Infusionsoft) to any page blocks that contain "buttons" or "images" (exluding Buy Boxes). We also offer an "On-Page Optin Form" block found in the CTAs section of page blocks. This will allow you to collect your site visitor's information via a Lightbox Popup or On-Page Form. Note: Time is needed for the collected information to pass into your CRM system. In order to optimize the server load, Zipify Pages executes a sync job every minute. This means that the collected information will get passed to your CRM system with a lag of 0-1 minute, depending on when the form was submitted by your site visitor. Here is an article in the ActiveCampaign Help section that explains how to find your API Key and API URL. Scroll to the "Obtain API Key and URL" subheading. 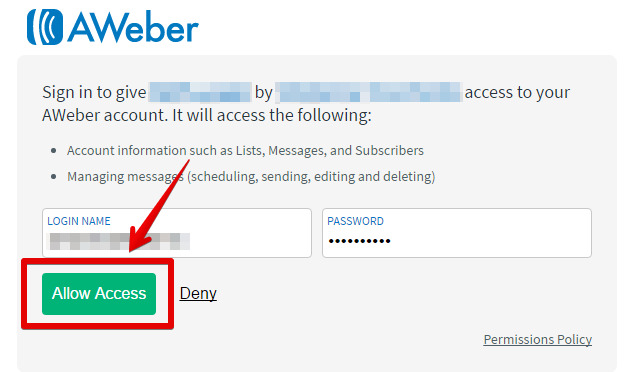 API credentials are not required to be entered manually, just sign in to your AWeber account using the link by entering your Login Name and Password then click "Allow Access". Your Access Token and API Key will automatically pass over to the Zipify Pages app. Here is an article in the GetResponse Help section that explains how to find your API Key. Here is an article in the MailChimp Help section that explains how to find your API Key. Scroll to the "Find or Generate your API Key" subheading. Here is an article in the Klaviyo Help section that explains how to find or create your Private API Key. NOTE: Only Lists are supported for the Klaviyo CRM. Segments are not supported. To get your API key, go to the Admin menu, and click Settings. Select Application in the left menu, then scroll down to the API section. If you don't have an API key, here is an article in the Infusionsoft Help section that explains how to create your API Key. Here is an article in the Ontraport Help section that explains how to create your App ID and API Key. Scroll to the "How to Obtain an API Key" subheading.